If God would choose a plant to represent him, I think he would choose of all plants the cactus. The cactus has all the blessings he tried, but mostly failed, to give to man. Let me tell you how. It has humility, but it is not submissive. It grows where no other plant will grow. It does not complain when the sun bakes it back or the wing tears it from the cliff or drowns it in the dry sand of the desert or when it is thirsty. As a little girl, I always admired these in my grandmothers Florida backyard every time I would come down to visit. I found them so mysterious and amazing. Nothing like I had ever seen in the Midwest landscaping…smile. Even then, they seemed special to me and I did not understand why? After reading this poem…I think I found my answer. Have You Ever Felt Like You Have Nothing That Interesting To Share With Others? We all have been made to be unique…like the cactus. Here’s an idea…honor your outdoor spaces with the world. Share what is unique to your eye…because most of the world doesn’t have the ability to see what YOU see. Thank you for ALL the get well wishes!!! It brings joy to the heart…which is healing in itself. If this is your first or second time visiting, we would love for you to join us here at Pride in Photos. Please go down to the bottom footer and join in the fun with all the others. 4 stalks Lemon Grass, pick the white part then bruise to release flavour. country over a decade ago. Thank you so much for teaching us to appreciate this unique plant, Laurie! Hmmm. God as a Cactus. I like it. Thank you for the wonderful page. I do love cactus and am a Mom to quite a few. Sometimes they are just scraps I find on the ground. Other times they are giant arms that have been broke off. (I did ask the business if they wanted it back and they said to keep it –drunk people fall into them all the time). From this page I will now admire them in a new light. I will never look at a cactus the same, thank you. All round great post! Interesting thoughts on the cactus — and lovely, clear photos. Desert plants fascinate me because they grow in sand with so little water. Their existence is a miracle! Such amazing photos. I love a good cactus. I’ve never been much of a cactus admirer — but I did admire that poem — and your beautiful photos. Gorgeous! Cactus are my favorite – gorgeous photos! My night blooming cactus have just started their summer blooming season. Love it! Well this is a totally new take on cactus 🙂 I love them though, I think they are beautiful plants. Actually there’s a very lovely cactus garden on Lanzarote, designed by Cesar Manrique, so I don’t mind them that much. Great serie of photos, interesting text too! Gorgeous photos! I never thought of cacti that way… they are marvelous metaphors for sure. Cactii are among my own favourites. You’ve got some great shots there, particularly the first of the larger photos. What a beautiful story. I will definitely look at cactus in a different light after reading these words. Thank you and glad you are on the mend. Living here in the desert I know all about cactus. And I must say your have taken some gorgeous photos of them..
beautiful greens – God’s bounty! Cacti are such hardy plants… and uniquely pretty, too. I completely agree with your blogging tip… cast your eye around your world, you have story to tell right there in front of you. Wonderful shots and inspiring words. Wise words and lovely shots! That poem is deep, I like the part where it says it is tough yet gentle, very inspiring …God bless!!! A thought provoking poem with wonderful photos to enhance the words. So many of us overlook things at times because they don’t look as pretty. You shown that even a cacus with its prickly throns can have beauty. It’s a beautiful poem, and surely makes one think again about cacti. Wow!!! What an interesting cactus!!! Love that second photo…the detail is wonderful against the bokeh background!!! BEAUTIFUL SHOTS OF THIS WONDERFUL PLANT. Well, I never thought of this – God as a plant, but love your premise and your photographs! I really love this, Laurie! 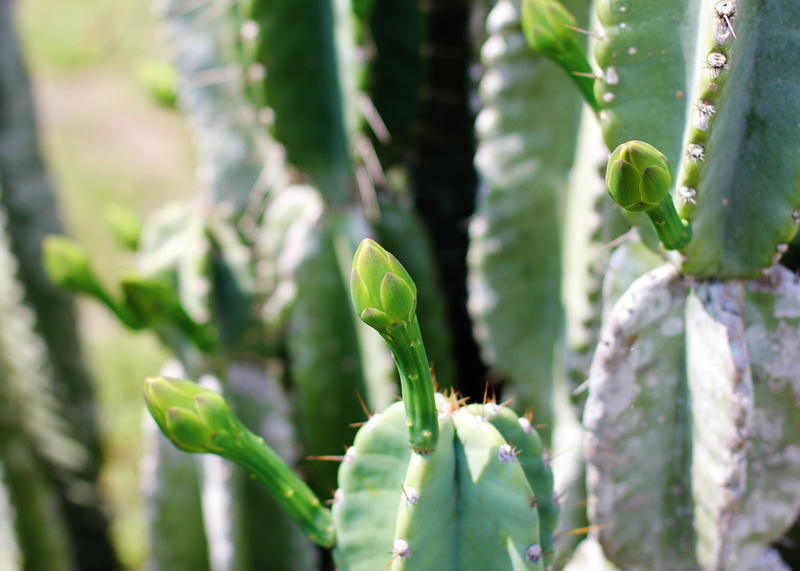 What a lovely post about the prickly cactus. My kids were obsessed with cacti when they were younger and each had one in their rooms. That and a venus fly trap! Gee I forgot about those, thanks for taking me down memory lane, Laurie! Beautiful post. I am so happy I landed on this page. The poem is quite amazing. I wasn’t aware of some of the information related to cactus. The poem provides this information as well as a few life lessons. Lovely pictures to match. Beautiful pictures! I love sharing my backyard with my sister and my cousin who are both in very different climates and different yet from mine. We love seeing nature through each others eyes. Love it and you know I often do…there are times that we need to just sit back and admire God’s Glory! What a cool take on cacti! 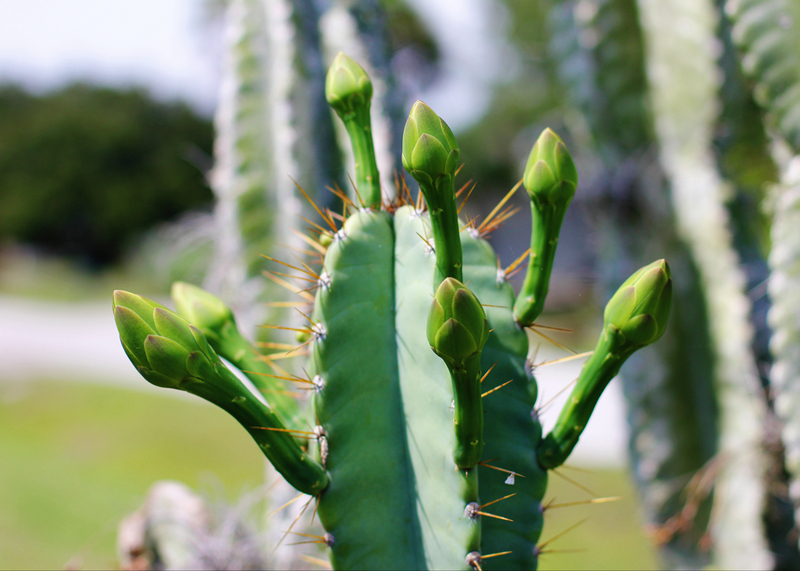 In Israel, someone who was born in Israel is called a sabra, named for the first fruit of a cactus, it’s b/c it is so tough and hardy, yet sweet! Neat thoughts, Laurie. I have a greater appreciation of succulents and cacti these days! There is such beauty among a commonly look over plant. Those pics are sooooo kewl! I love your message along with it too!!!! Awesome! I need to plant a cactus around here after reading that. ☺ thanks for the smile you just gave me. What a great analogy. We used to have a huge one in our backyard in FL too. I loved it. I now have a new perspective on the cactus; thank you. Beautiful photos too. Great photos of the cactus. Will you share the blooms with us when they open? Amazing shots of that cactus! What gorgeous pictures of these intriguing cactus plants! Wonderful shots of the cactus plants! Thanks for sharing, have a happy week!